Does your business social media use support and grow your company? Specifically, is your social media investment including personnel, agencies, content creation, advertising and technology yielding a positive return? While most business social media use has evolved, many firm still practice spray and pray marketing distribution. As a result, they can’t track social media ROI. Even with a social media function that’s matured beyond a siloed department populated with junior employees who get social media but not your brand, that’s still not enough to keep your business growing at the same or better rates as your competitors. Bear in mind that the big 5 (Facebook, Amazon, Apple, Netflix and Google) keep growing by buy smaller firms forcing you to keep your business at its cutting edge best. 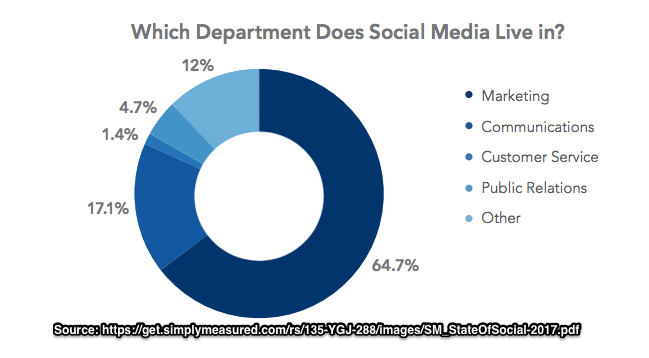 Regardless of your business focus or size, let’s examine the current social media trends based on on SimplyMeasured’s 2017 State of Social Media to show you what’s required to stay ahead of the pack with your business social media use. Download your free social media marketing checklist NOW! For most organizations, social media is part of marketing or a related marketing function like PR or communications. It makes sense to maintain consistent voice, create branded content, and support lead generation. 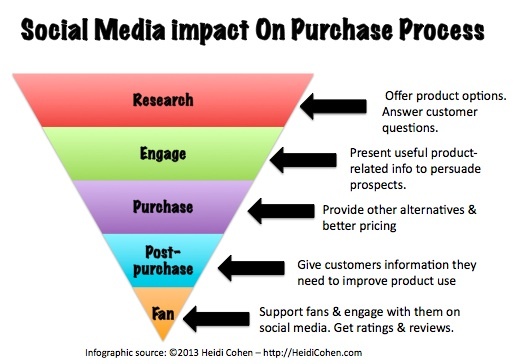 Social media supports the entire customer purchase process. Since social media enables businesses to engage and build relationships with followers, prospects and customers, it makes sense to incorporate social media into customer service. Also, it’s a strong argument for having customer service report to marketing to ensure a consistent customer experience, before, during and after purchase. What’s missing from this business social media use data? Social media doesn’t report to sales in any business surveyed. Yet sales people use social media platforms like LinkedIn to nurture leads and prospects. But this isn’t a surprise. But it’s useful to break down these silos for better lead generation and nurturing. 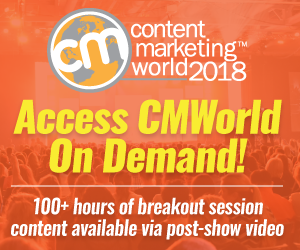 Marcus Sheridan, author of They Ask, You Answer (affiliate), is a big proponent of co-locating your marketing and sales teams. Create social media guidelines for your business. Regardless of where social media reports, ensure all of your employees know what’s allowed and what’s not allowed on social media platforms. Provide in-house social media training for everyone in your organization. Think beyond departments, level and age. Show employees how social media works for your business. This helps build internal social media influencers. Social media is a key element of the digital marketing spend. 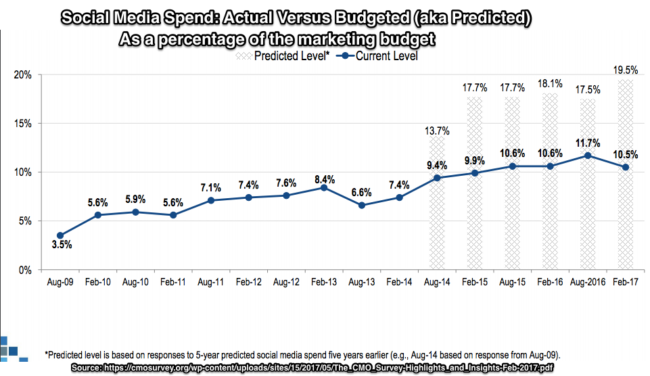 Social media spend is currently at 10.5% and it’s expected to grow to 18.6%. (CMO Survey) These percentages vary based on business type and offering. It’s no surprise that B2C products use the largest proportion of social media marketing since social media tends to be consumer oriented. 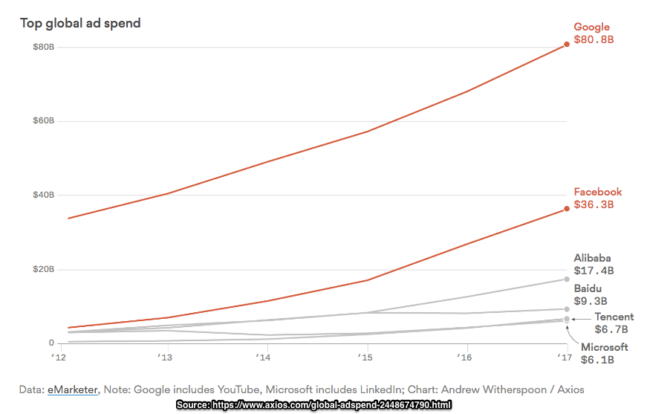 While the details aren’t available, this growth is most likely attributable to a shift in advertising budget to social media platforms from other digital and non-digital channels. Of which, Google and Facebook get the lion’s share. 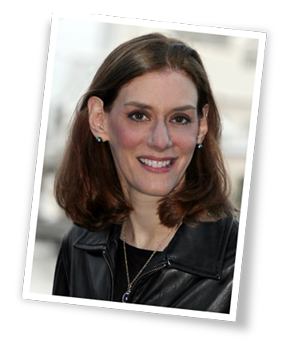 In part, the reason the social media spend tends to be tracked as lower than budgeted is due to poor cost attribution. As mentioned above, social media marketing spend includes employee time, agencies or freelancers, social media content tailored by platform, advertising and technology for monitoring and scheduling social media. Budget social media carefully. Include employees (and freelance or agencies), content and creative support, and technology to support distribution and metrics. Support your social media investment with advertising. Organic reach continues to decline on the major platforms. To maintain your reach you need advertising dollars. Borrow from other department’s budgets. Make the case to support other initiatives via social media advertising. Get these executives and departments to earmark budget that you manage. 64% of companies plan to hire people to support social media (SimplyMeasured Research). Understand that this is only one element of social media investment. It’s also important to understand what these departments do and how they interact with their peers in marketing as well as sales and customer service. 74% of social media staff support marketing. 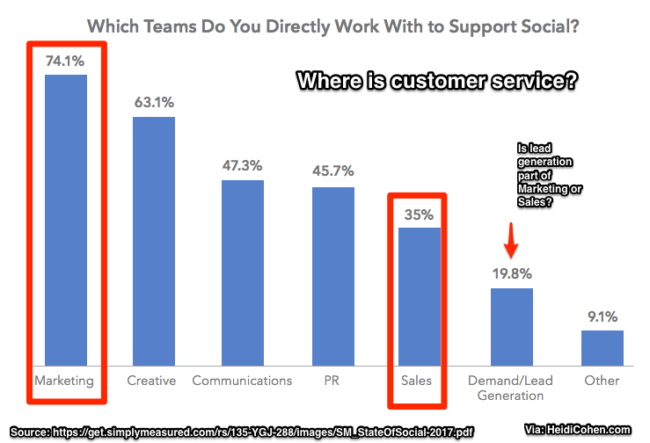 35% of social media staff support sales. To put this in perspective, one-third of respondents are a one-person social media department. Tap into the power of other department’s resources. Especially if you’re a one person social media department, extend your reach by getting help from other employees. Speak softly but get top-level support. Don’t go it alone. Get senior management buy-in and support as well as Human Resources and Legal. Share your business social media plans. Social media by its nature is public. Don’t treat your strategy and plans top secret in your organization. Like other social media research findings, most marketers measure easy-to-track options such as social shares rather than attributes aligned with desired business outcomes. To ensure you can prove social media marketing success, determine your metrics when you set social media goals. Align social media goals with your marketing and business objectives. 57% of marketers measure social media shares (aka: vanity metrics). 21% of marketers measure conversion and revenue. Further, over a third of marketers can’t track social media driven revenues. 5% of marketers surveyed can NOT measure social media-driven revenues. 7% of marketers surveyed can somewhat measure social media-driven revenues. 8% of marketers surveyed can measure social media-driven revenues. This isn’t a surprise since social media often isn’t the last piece of media touched as older research showed. Use a variety of metrics to track visitor touches at different points during the purchase process and over time. Unfortunately this isn’t an easy unless your social media advertising drive sales. Use targeted landing pages to aid measurements. Keep your branding and voice consistent. Eliminate distractions other than your one call-to-action and ability to contact your firm. Assess tools like Unbounce, Lead Pages and ConvertKit to test and improve effectiveness. Create relevant off-ramps to other content. Think beyond the social media landing page and download or other activity. Ensure your Thank You pages and related emails continue to build the relationship and lead prospects back to your other content and marketing assets. Work with your analytics and finance teams. Face it—many employees just consider them nerds. Stand out by asking them for help to show you how to spotlight results. As social media matures, businesses have key challenges integrating it into their overall business and marketing strategies. 57.3% of marketers surveyed can’t measure social media ROI. 32.5% of marketers surveyed can’t tie social media results with business goals. 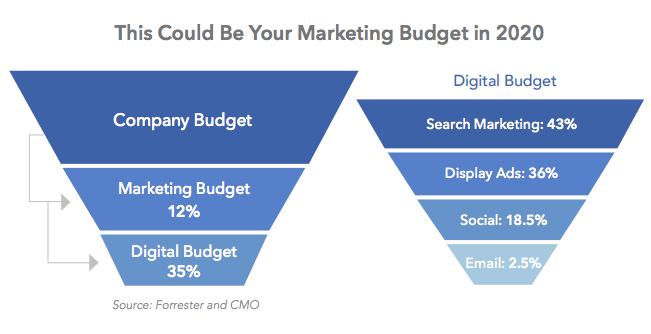 Since measuring marketing ROI is a consistent problem across the spectrum of marketing activities, the fact that roughly 3 out of 5 social media marketers can’t track ROI isn’t a surprise. 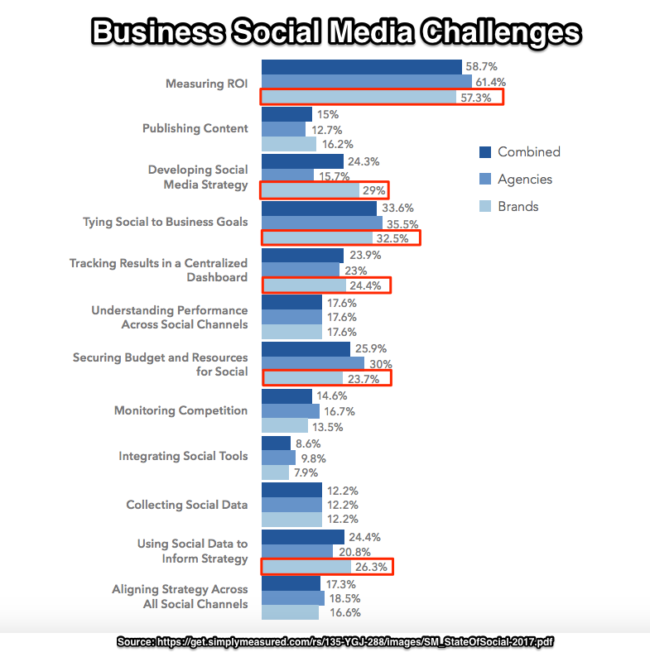 Let’s look at the social media challenges marketers can control. Social media is a key way to distribute your marketing content and messages as well as to engage with and build prospect relationships. We create, share, curate and engage on social media focused on BLANK CATEGORY targeted at BLANK AUDIENCE to yield BLANK BENEFIT for them. As a result, we achieve BLANK GOAL for our business. 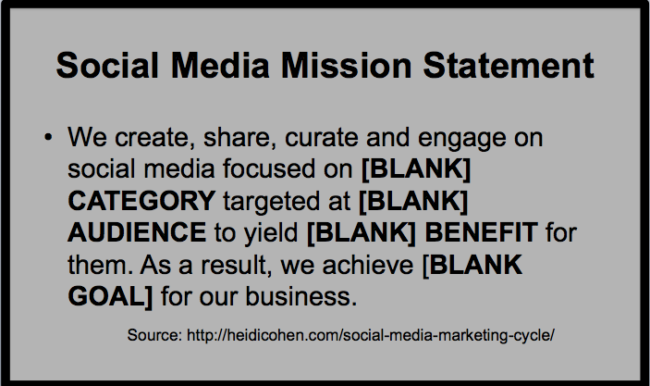 Social Media Mission Statement For Business Use – Just Fill In The Blanks! Note: Your social media mission statement should focus on your target audience’s needs. Also, aim for a higher benefit than profits. Coordinate this strategy with your marketing, sales and customer service plans to maximize results. 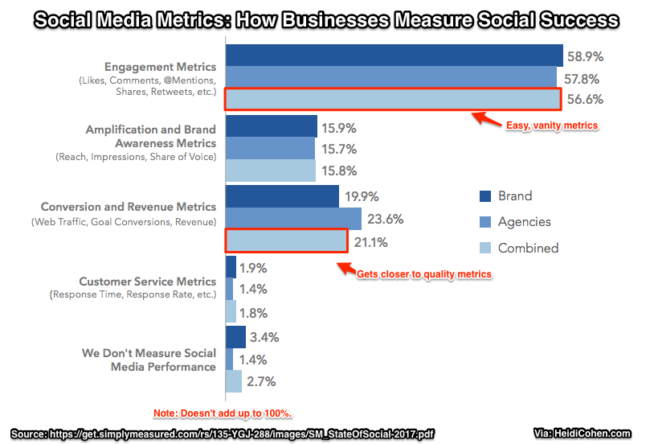 Where social media metrics are difficult to track, use easy-to-track alternatives where appropriate. For example, track landing pages visits and actions such as email capture. Create your social media marketing mission. This is a key step to ensure your employees understand what you’re trying to do. Develop social media metrics proxies. Find trackable metrics beyond shares through the use of landing pages and other calls-to-action. Write down your social media strategy. It’s difficult to steer your marketing activities without a document. Share your social media document with your organization. Your business needs a social media strategy to be competitive. Social media is no longer a no-budget activity your business has someone do in addition to their “real” job. 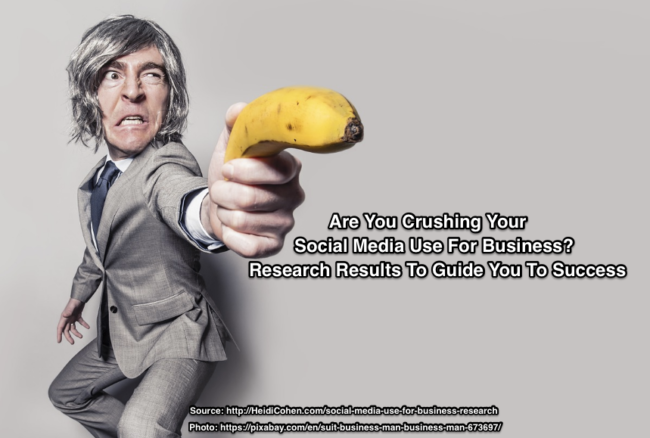 As this social media use research underscores, companies are still trying to get their business social media use on track and show measurable results. Regardless of where you are on the social media use for business scale, you still have an opportunity to improve your business’s social media results. BUT it requires investment in the right resources. This includes staff (or agencies or freelancers), content creation tailored for each social media platform, social media focused technology and social media training and communications for your staff. Additionally, senior management buy-in and strong employee communications are needed to involve everyone in your organization. Remember social media isn’t just marketing. You can improve your organization’s use of social media but don’t wait too long since the social media marketing window is starting to close. 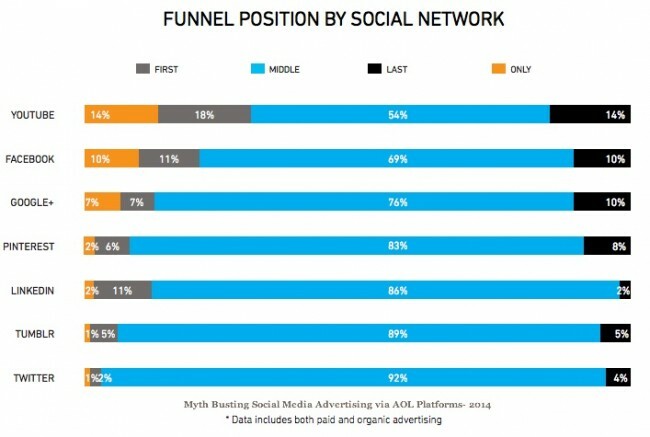 Tags CMO Survey, Forrester, Research, SimplyMeasured, Social Media Purchase Funnel, State of Social Media 2017. Bookmark the permalink. 2 Responses to Are You Crushing Your Business Social Media Use?